CALL 404-453-0400 TO SELL YOUR PROPERTY TODAY! 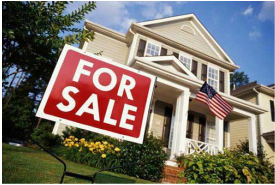 At The Home People Realty our marketing plan will help you maximize your profits at closing. You'll also have peace of mind knowing that you have experienced real estate professionals working for you. 1 ) Find out what your property is worth today. This is the most important step. During the last couple of years, overpriced listings may have sold and even had bidding wars over them. The market has adjusted. That market is gone. Buyers have a lot of choices now. Finding the most comparable recent sales in the property taxes and other resources will give you a good range of the value of your property. Depending on your property's condition, upgrades and location, your home may be at the top of the range for your neighborhood or complex. 2) Internet exposure- 8 out of 10 buyers begin their property search on the Internet. Your property will appear on many internet sites including our site, TheHomePeopleRealty.com and HomesAllDay.com. 3) Potential Buyer's want to see a lot of photos! We will take many photos to be placed in the multiple listing service and many other websites. We offer professional photography for the best photos and slide shows. We create E-Campaigns which markets your home to other licensees as well. 4) Your property location is very important to a potential buyer. We will market your location to attract the right buyer. Using lead capturing software, we can also learn where a Buyer is most interested. 5) We will place a highly visible sign on your property. We often use directionals and other signs to drive passer bys to your property. It's a good idea to have a good "curb appeal." 6) Getting Prepared - We will be happy to walk through your home with you and help stage your property. The buyer's first impression is very important. It is worth doing those inexpensive repairs, sprucing up the yard and removing the clutter. Your property will bring more money and sell faster. 7) Easy Access to show your home - Today with so many properties for sale, easy access is a must. A real estate professional electronicnlockbox is recommended. We can coordinate appointments with you if you still occupy your property. Typically a Realtor will call the listing agent office and schedule an appointment. The electronic lockbox will keep a record of Agent showings. 8) Staying in touch - We understand that selling your home or property can be stressful. We will be in close contact with you during the entire process. We handle all the paper work, from listing to closing. Whether you choose our $450 Flat Fee Listing service or our traditional listing service, you don't have to worry about any paperwork. 9) Qualifying the Buyer - We make sure to get a qualifying letter from the Buyer's Lender and follow contract dates and timelines to make sure you are protected as the loan progresses to full approval. This keeps an unqualified Buyer from tying up your home for weeks or months. 10) Offers and negotiating - We will present all offers in a timely manner and always negotiate on your behalf to get the best price. 11) Closing - We stay involved during the whole process to work out any problems and make sure the process runs smoothly.